Order in next 4 hours and 21 minutes for despatch today. A pork pie hat has what is refered to, as a 'telescopic' crown. These hats are sometimes referred to as boaters. Pork pie hats are commonly associated with Jazz and Blues singers, and form part of the uniform for these genres of music. 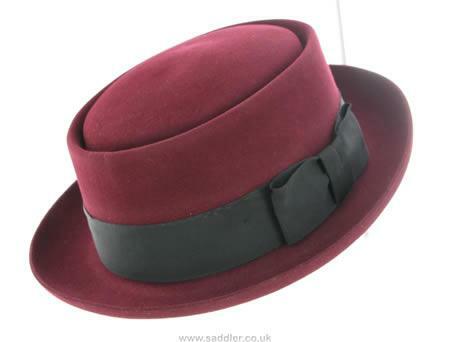 It's important at Christys' that a classic favourite, such as the pork pie hat, is made to the highest standard. Manufactured in their Oxfordshire factory, using luxury fur felt. The traditional pork pie shape is created by applying a traditional hand blocking method, that has been used for over 200 years. Every hat that leaves Christys' factory is unique.SALE!